The stock market keeps defying the gravity of President Trump’s mounting trade war, but top economic brains from Wall Street and beyond are warning that a reckoning is coming. In just the past few days, economists from Morgan Stanley, Goldman Sachs and the International Monetary Fund — along with BlackRock CEO Larry Fink, who leads the largest asset manager in the world — sounded alarms about investor complacency. They see trade hostilities that look increasingly likely to rattle both markets and supply chains around the world taking a bite out of economic growth. Fink on Monday went so far as to assign a value to the looming downside. If Trump imposes the tariffs he has threatened on $200 billion in Chinese imports, Fink projected the stock market could tank by 10 to 15 percent. That would erase more than half its gain since Trump’s election. Yet he noted that investors don’t appear to be grappling with the possibility. The S&P 500 dipped, barely, on Monday, only it’s second down day since July 6, when the U.S. and China each slapped tariffs on $34 billion of the other’s goods. The index is up nearly 5 percent this year. Investment managers I’ve talked to chalk up the market's relative steadiness to a belief that the president won’t, in fact, continue to ratchet up the pain by following through with hundreds of billions in extra levies aimed at China and, separately, foreign autos and auto parts. The bet, as they see it, is that Trump is simply trying to maximize his leverage to extract more concessions from U.S. trading partners. But Goldman Sachs economists aren’t so sure anymore. In a Friday note, the bank's team members wrote that they “now believe that it is more likely than not (60% chance) that the US imposes tariffs on the additional $200bn of imports from China that were recently targeted. While very uncertain, we would expect the tariffs could be imposed as soon as late September but possibly not until after the election.” They assign a 35 percent probability to Trump following through with auto tariffs. “Even if all the proposed actions don’t go into effect, prolonged uncertainty alone can have a measurable impact on economic growth, and we should not underestimate the risks,” Morgan Stanley chief economist Ellen Zentner wrote in a New York Times op-ed on Sunday. She says that conditions present a distorted view of what’s ahead, estimating that stockpiling by companies preparing for a trade war accounts for about half of economic growth. But that will end if the tariffs bite. “Such a reversal is not likely to sit well with investors as they witness a potentially sharp slowdown in the second half of the year, and that could affect both stock and bond markets,” she writes. — Whirlpool's regrets. The Wall Street Journal's Andrew Tangel and Josh Zumbrun: “Put into practice, tariffs are a complex economic weapon that can ricochet through an economy in ways even proponents don’t expect. That’s what happened with washing machines, which were among the first consumer products targeted by the Trump administration. In the months since washing-machine tariffs took effect in February, LG and Samsung have pressed on with investments in the U.S., given that they now face the higher cost of shipping goods in from abroad. The overseas companies and Whirlpool have also increased hiring in the U.S. But appliance prices have risen for consumers, and there are signs of waning demand. Whirlpool had campaigned for protection from what it called unfair foreign competition. Things became more complicated as the trade conflict spread beyond its industry... Most of the 200-pound weight of a washing machine is in its steel and aluminum parts." Meanwhile, companies denied relief from the metals tariffs are howling over a process they call opaque and unfair, Bloomberg reports. — Trump sparks outrage. The Post's Philip Rucker, Anton Troianovski and Seung Min Kim: “Trump handed Russian President Vladimir Putin an unalloyed diplomatic triumph during their summit here Monday as he refused to support the collective conclusion of U.S. intelligence agencies that Russia had interfered in the 2016 U.S. presidential election. Trump’s warm rhetorical embrace of Putin, who he said had given him an 'extremely strong and powerful' denial that Russia assaulted U.S. democracy, marked an extraordinary capstone to the first formal meeting between the current leaders of the world’s nuclear superpowers and sparked trepidation and horror among many in Washington and around the globe. Advisors briefed Trump extensively in the hopes he would confront Putin, but he ignored them, Ashley Parker, Josh Dawsey and Carol D. Leonnig report. Trump's performance draws bipartisan condemnation from the Hill, via Michael Scherer. The moment called for Trump to stand up for America. He chose to bow, Dan Balz writes. It amounted to a "astonishing repudiation of U.S. intelligence services and the American system of justice," Greg Miller and Shane Harris write. Salvador Rizzo and Meg Kelly fact-check some questionable claims by Trump and Putin. — Powell to the Hill. WSJ's Nick Timiraos writes that the Fed chief is "unlikely to surprise" when he kicks off two days of hearings today with an appearance before the Senate Banking Committee, starting at 10 a.m.: "Fed officials are growing more nervous about rising trade tensions, according to minutes of their June meeting released last week. Watch for how Mr. Powell responds to questions about the implications for the U.S. economy and Fed policy. He is likely to repeat that it is still too early to know—with many threats still in the air and considerable uncertainty about what proposals will go into effect." 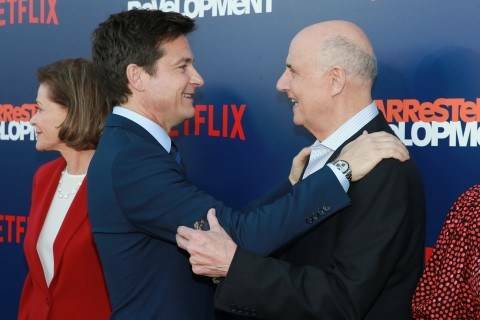 Netflix shares fell about 13% after hours. The streamer reported that it added about 1 million subscribers less than expected last quarter. — Warren's ready to fight. The Post's Michael Scherer: "Ever since Donald Trump’s inauguration, voters at each of Sen. Elizabeth Warren’s 29 town halls have greeted her with the same pleas, sometimes multiple times in succession. 'Tell me how else to get in the fight,' she says, paraphrasing the entreaties. And she is happy to oblige... The suspense now is whether Warren’s brand of pugilistic populism is what Democratic voters outside of her home state want in their next presidential candidate. "Although she denies pursuing a 2020 run, Warren has been positioning herself for one — joining the Senate Armed Services Committee and traveling the country for 2018 candidates while building an oversized campaign operation for a reelection bid this year that she is likely to win by double digits. She is not the only one with a fighting spirit in her party, but none of her potential rivals has so identified with bare-knuckle combat, against banks and credit-card companies, Democrats and Republicans." 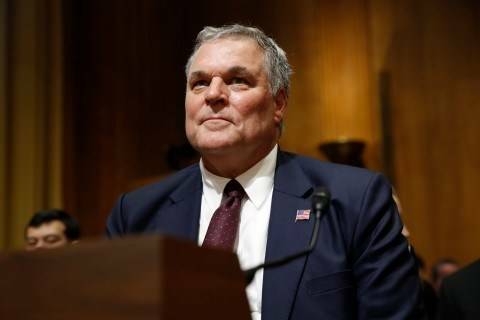 IRS commissioner nominee Chuck Rettig, a California tax lawyer, testified before the panel in late June, and the Finance Committee is likely to advance his nomination. Municipal Finance Conference at the Brookings Institution in Washington. Federal Reserve Board Chair Jerome H. Powell appears before the Senate Banking Committee. House Energy subcommittee hearing on oversight of the Federal Trade Commission tomorrow. House Agriculture Committee hearing on cryptocurrencies tomorrow. House Ways and Means subcommittee hearing on the effects of tariffs on U.S. agriculture tomorrow. Senate Finance subcommittee hearing on trade and commerce at ports of entry tomorrow. House Oversight subcommittee hearing on “regulatory divergence” tomorrow. House Intelligence Committee hearing titled “China’s threat to American government and private sector research and innovation leadership” on July 19.